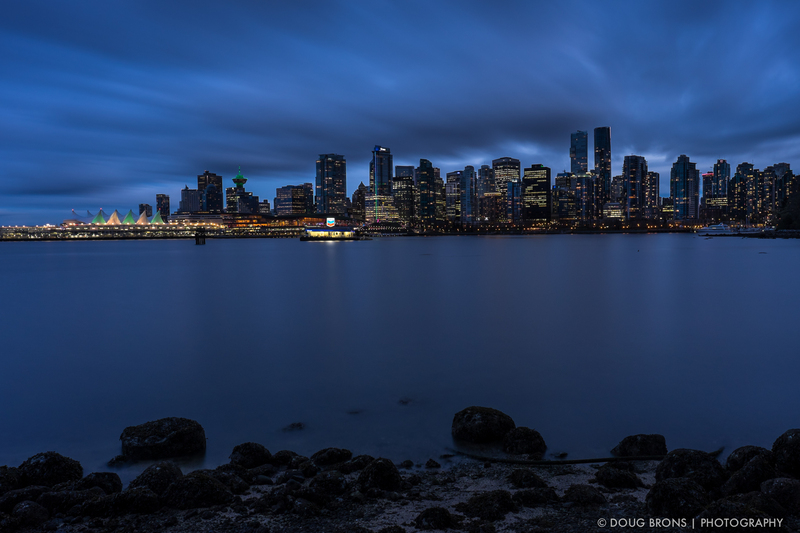 Vancouver skyline at blue hour with a Formatt-Hitec 10 stop ND filter. 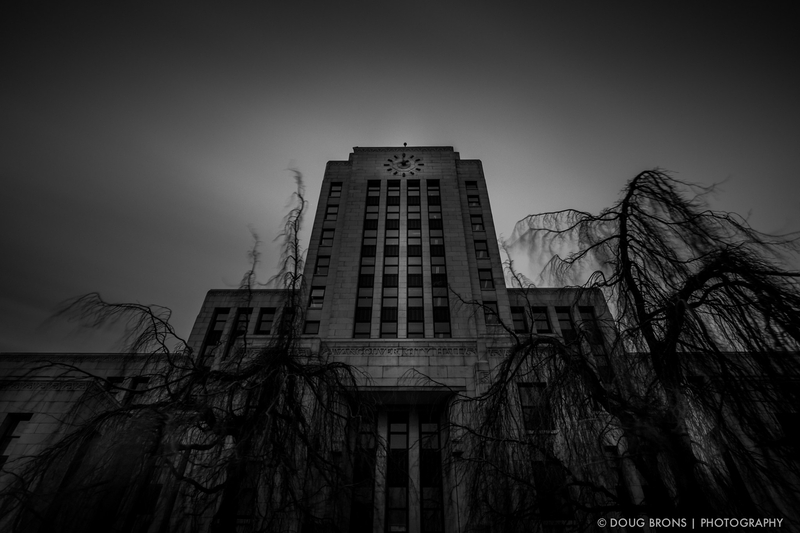 More long exposure experimentation at Vancouver City Hall. It was very windy and I wasn’t sure if my tripod would remain steady with a 406 second exposure. I used 19 stops of neutral density and some post in Lightroom to achieve this result. I’m getting a little behind in posting my weekly photos, but rest assured, I’m still creating one each week. This past week was my first chance to test my new Formatt-Hitec 100mm filters (an attempt to standardize my filters across different lenses). I shot this one at one of my favourite spots to capture the late afternoon light and the city skyline. The weather has been dull and grey this week but I found a window of decent light and returned to the beach just 5 minutes from home. 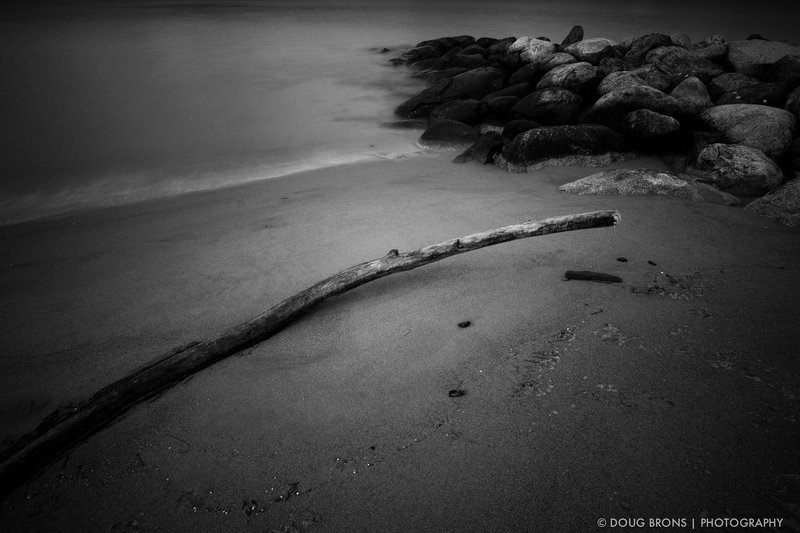 Fujifilm X-T1 | Rokinon 12mm f2 | ISO 200 | f22 @ 16 sec.